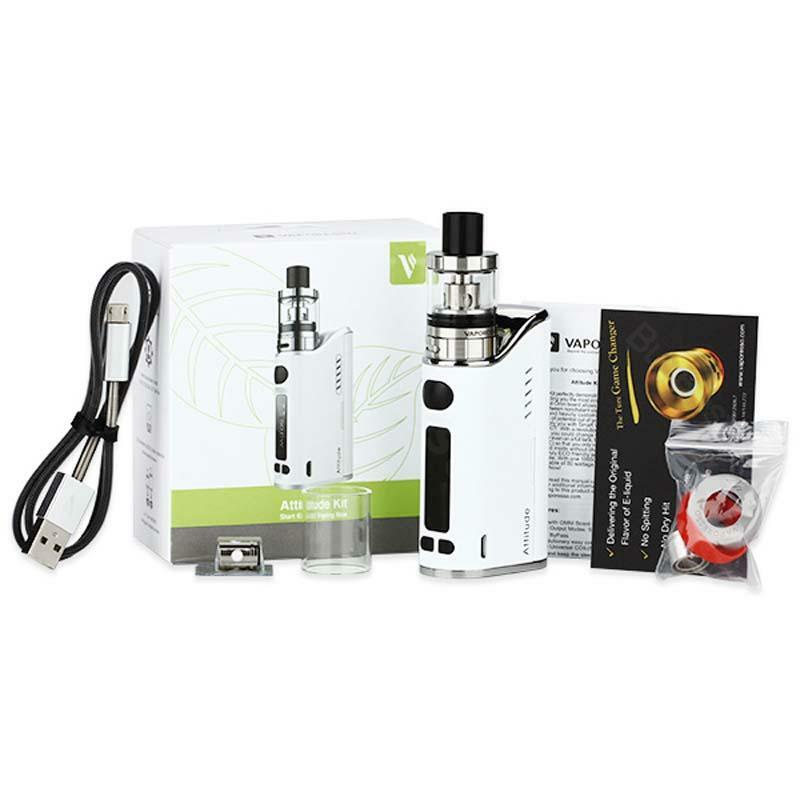 Vaporesso Attitude Kit combines adopts advanced Omni board which supports Smart VW/ VT / TCR/ BYPASS /CCW/ CCT modes. And the Estoc tank with EUC coils works perfectly with the attitude. Attitude kit brings the best flavor to you. 4 attractive colors. Vaporesso Attitude supports max 80W output and Smart VW /CCW/ VT(Ni200/SS/Ti) /CCT/TCR/ Bypass modes by appling the most comprehensive OMNI board. And the Estoc tank 2ml with replacement tube- 4ml, comes with EUC coils which is very easy to replace, long-lasting and guaranteeing the best possible taste of your juice. • You can buy EUC Ceramic Coil and EUC Traditional Coil. I absolutely love this attitude euc kit by Vaporesso. All those parts well packed in the gift box. Flavor and cloud are superb. EUC ceremic coil is tasty! This vaporesso kit is definitely worth buying! Well built quality, amazing flavor! I love my new attitude kit a lot. Easy to use, both tc and wattage mode works well. Optional 2ml and 4ml is cool. I don't use tc very much. 50w serves very well.